GIANTS AT WORK. 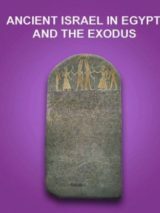 Biblical archaeologists Eric and Carol Meyers sit down with BAR’s editor to discuss the past 40 years of archaeology in the land of the Bible. Photo: Robert Sugar. Duke professors Eric and Carol Meyers gained national prominence when they discovered the Torah ark at Nabratein, Israel, in 1981. But that’s only part of their story. On December 22, 2014, I sat down and talked to them about their past 40 years in Biblical archaeology. HS: This is BAR’s 40th birthday. Our first issue is dated March 1975. I’d like to talk to you about how the field has changed—or remained the same—during the past 40 years. I’ll begin by asking you: Is it still as exciting as it was? Is it still as much fun as it was? Of course I’m thinking about the time 35 years ago when you posed for People magazine as Indiana Jones and his girlfriend Marion after you found the “lost ark.” Would you do it again? THE LOST ARK. This intricately carved Torah ark was recovered from the ancient synagogue at Nabratein in 1981. The left side of the lintel has been reconstructed. Photo: Todd Bolen/Bibleplaces.com. CM: It was buried in this later construction. EM: We set up the winch, and the photographer got ready. The photograph of lifting and turning it over was in every magazine. REAL LIFE RAIDERS. In 1981 Indiana Jones and the Raiders of the Lost Ark debuted in theaters around the world. Three weeks later, Eric and Carol Meyers discovered a Torah ark from an ancient synagogue. That it was an ark was enough to ensure its publicity. Here they pose for People magazine. Photo: Courtesy of Eric and Carol Meyers. RETURN TO THE ARK. Almost 40 years after uncovering the sculpted lions on the Torah ark, Eric and Carol Meyers return to the site. Photo: Courtesy of Eric and Carol Meyers. CM: 1981 is a significant date. That was the summer that Raiders of the Lost Ark was released. HS: The finding of the Ark is a wonderful story. Is there anything like that since then? Mona Lisa of the Galilee was discovered on a mosaic floor devoted to the life of Dionysius at Sepphoris. Photo: Joint Sepphoris Project/Eric and Carol Meyers. CM: Yes. The so-called Mona Lisa of the Galilee, which we found at Sepphoris, was another very striking discovery.b The mosaic floor included scenes from the life of Dionysius. There was a lot of media interest in it. This was during the first Intifada. I’ll never forget how Martin Fletcher from NBC news came up and was taking pictures. I said to him, “Why are you bothering with this when you have so much going on politically in Israel, in Jerusalem? Why are you bothering with an excavation?” He replied that it was wonderful to write about good stones—the mosaics stones—instead of the stones that Arabs and Jews were throwing at each other in the streets of Jerusalem and the West Bank. But let me say something about these kinds of exciting moments. Sometimes you have them, and sometimes you don’t. As wonderful as it was for us to have that kind of experience and all the media attention, that’s not really what archaeology is all about. It is not about the big finds; it’s about putting together piece by piece all the small things to get some kind of picture of ancient society. CM: —students and being with them 24/7 for six weeks. Learning about the past through their eyes, their questions and their ways of understanding things is always very exciting. It also means forming relationships with students that you can’t get in a classroom. We’re still in touch with many of those students 40 years later. EM: We just had a reunion—a diggers’ reunion—sponsored by one of our students from years ago. Carol was very nervous about it, but it far exceeded anything that we could have anticipated. We had a guest lecture on Saturday morning, then open questions from the students. One of them commented after the discussion that it was a spiritual experience. One of the reasons I went into archaeology—aside from finding my mate—is that archaeology provides a unique perspective on the past that you cannot get from only literary evidence. That’s always seemed to me very powerful. CM: Albright also defined it as from the Chalcolithic period down to Islamic times. HS: I have always admired these definitions. But in my reading of developments since Albright’s time, he’s been swept under the rug, so to speak. Many archaeologists now feel that there is no such thing as Biblical archaeology. 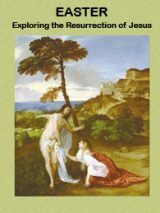 One of the leading American archaeologists, Bill [William G.] Dever, with whom you and I are good friends, at one time said we should call the field Syro-Palestinian archaeology, not Biblical archaeology; there is no such thing as Biblical archaeology, he said.c What was that all about? I don’t know if Bill still holds that view. CM: I think he has come back a little bit. EM: I think he has done a complete circle on this, and he’s more Biblically oriented than he has ever been. But let me respond to Albright’s wide, broad definition of Biblical archaeology. I think it was far too broad, far too inclusive, and I don’t feel any longer that it is relevant to the field of Biblical archaeology to go to either the geographical parameters or the chronological parameters. EM: First of all, the Bible takes root in an area much smaller. And the specialization of fields of research certainly makes it impossible for someone who’s seriously into Biblical studies to become an Assyriologist and a Mesopotamian archaeologist and know all the languages and all that’s happened since. HS: But aren’t those relevant to Biblical studies? EM: They are relevant in part. HS: No one person can do all of this, but it’s all relevant to Biblical archaeology. EM: Carol and I have always been comfortable with the term Biblical archaeology, but I would limit its parameters both chronologically and geographically to a much more confined area. HS: But you are clear that there is such a thing as Biblical archaeology? CM: I would say that Biblical archaeology is any archaeological work that helps us understand the Bible and its context. CM: I think that is basically correct. HS: For a long time I felt we at BAR were looked down upon by some scholars because we dealt with Biblical archaeology, and there was no such thing. CM: I’m not sure that debate is relevant anymore. I like to think of my field not so much as Biblical archaeology but as the archaeology of ancient Israel, that is, the archaeology that tries to understand through the material remains of a society what that society was like. This removes the idea of everything you do as somehow relating to the Biblical text. I’m not saying that this is not part of the process, but by calling it “the archaeology of ancient Israel,” it focuses on a social group that existed at a point in time and then on the relationship of that group to whatever texts it produced, whether they are Biblical texts or other epigraphic materials. And the same thing would be true, for example, of the archaeology of the Greco-Roman world of the New Testament. EM: In archaeology you don’t set out in advance to try to find something. Read Eilat Mazar’s article “Did I Find King David’s Palace?” for free as it appeared in the January/February 2006 issue of BAR. SENNACHERIB’S VERSION. Both the Bible and the Sennacherib prism recount the Assyrian siege of Jerusalem, but from different viewpoints with slightly different conclusions. Both accounts need to be assessed beside the material evidence uncovered by archaeology in an attempt to understand the historic event. Photo: Erich Lessing/Collection of the Israel Museum. HS: But there is the proper use and the improper use of the Biblical text. Consider Sennacherib’s siege of Jerusalem. We have an account of that in the Bible (2 Kings 18–19; 2 Chronicles 32), and we have an account of that from Sennacherib.e No scholar would say, “Don’t look at the Bible,” and no scholar would say, “Don’t look at Sennacherib.” You look at them together, and you decide what is the most likely historical fact. Isn’t that absolutely necessary with the Bible as with any other text? HS: But the Bible was very, very helpful to Robinson. He did a marvelous job of matching up places mentioned in the Bible with places on the ground. HS: Eric, the major American scholarly organization of archaeologists of the Near East, of what we might call Biblical archaeologists, is the American Schools of Oriental Research, or ASOR. You have been president of that organization. HS: Three times? And you have come to rescue it a few times. HS: For 60 years ASOR had a semipopular magazine called the Biblical Archaeologist. EM: Which I edited for ten years. HS: In 1998 some members of ASOR proposed to change the name of this magazine from Biblical Archaeologist to Near Eastern Archaeology. So the society decided the best thing to do was see what the members of ASOR wanted to do about this proposal. So they took a survey. More than 80 percent of the members said don’t change the name; we like Biblical Archaeologist. So the leaders of the organization changed the name to Near Eastern Archaeology, and that is what it is still called today. EM: I was no longer president at that time. I want to make sure you know that. HS: My question is, what does that change represent? Does that change represent some turning away from what we have been talking about as Biblical archaeology? EM: It certainly does. And I voted against the name change. But in retrospect … When you look at the attendees at our annual meeting, which now averages around a thousand people, the majority are not interested in Biblical archaeology. They are not comfortable with that name. They embrace the world of the larger Middle East. This is a relatively new phenomenon. I do think the change of name from Biblical Archaeologist to Near East Archaeology has enabled this to occur. You have to put this in the context of the larger struggle in Middle Eastern politics. For example, when the Ebla archives were discovered in Syria [in 1974–1975],g people in Syria were totally uncomfortable with the embrace of Biblical archaeology and how the texts related to the Bible. 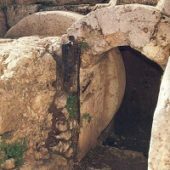 Biblical archaeology was thought to be the domain of Israeli archaeology and theologically inspired by Americans and Europeans. And it was. So, in order to move away from that paradigm, the name change gained a lot of supporters, and it kind of left Biblical archaeology in a corner, at least in ASOR. While Biblical archaeology still has its place, it’s a limited place. This year we had a huge attendance at our annual meeting. We had Syrians, we had Kurds and we had a bunch of Iraqi archaeologists. There were more sections on Mesopotamian archaeology in our meeting this year than in the last ten years combined. CM: Ironically, I think in a sense this goes back to Albright’s definition of Biblical archaeology. What we can learn about the wider area certainly enhances how we can understand that small part of it, the Biblical land of Israel. So in changing the name of the magazine to Near Eastern Archaeology and having meetings that pull in people from this whole area—Mesopotamia, parts of north Africa, Egypt, the lands of the Hittites—that ultimately contributes in some larger, perhaps in a more indirect, way to Biblical archaeology. Biblical Archaeologist became Near Eastern Archaeology, despite the opposition of 80 percent of ASOR’s membership. Photo: ASOR. HS: I made a proposal that hasn’t been met with great warmth, but it seemed to me that there could be a compromise, to not completely push out the Biblical Archaeologist. I suggested that half of the issues be called Near Eastern Archaeology and half of the issues would retain the name Biblical Archaeologist. EM: I like that compromise. I like the suggestion. I supported it when you made it. I think it is a good idea. It would be good for ASOR, and it would be good for the people in the entire region. The Bible is not going to disappear; Biblical archaeology is not going to disappear. The Israelis are still the mightiest power in the field of archaeology in the Middle East and will remain so for the long term. There needs to be a dialogue that puts all of these issues you have raised with us into a proper framework. And ASOR is obviously the place where that is going to happen. CM: But would the political problem then reemerge if ASOR was publishing [Biblical Archaeologist]? EM: I think we are beyond that today. EM: When I edited the Oxford Encyclopedia (it came out in 1997, but the big editorial push was in the 1990s), Hershel, no one wanted to talk to one another. I wanted to get the various sectors of the Near Eastern archaeology community to communicate with one another. In secret, I remember even in the 1980s I got [Israeli archaeologist] Yigal Shiloh to meet a couple of my colleagues from Jordan that he had never met. We met in someone’s private bedroom in one of the convention hotels. After that, I was like, wow, you see—they can talk to each other. They can learn from one another. CM: But didn’t we have a name issue with the Encyclopedia? BIBLICAL ARCHAEOLOGY UNDER SIEGE. Originally intended to be called the Oxford Encyclopedia of Biblical Archaeology, pressure from authors who worked in Arab countries convinced the editors at Oxford University Press to change the title to the Oxford Encyclopedia of Archaeology in the Near East. Photo: Israel Rydie. CM: Oxford had wanted to call it the Oxford Encyclopedia of Biblical Archaeology, but in order to make sure we would get contributions from people working in Arab countries, they had to change the name of it [to The Oxford Encyclopedia of Archaeology in the Near East]. EM: Our subeditors [responsible for encyclopedia articles covering archaeology in Arab countries] could not get anyone to agree to the name The Oxford Encyclopedia of Biblical Archaeology. CM: Because they wouldn’t be able to get contributions from Syria, etc. CM: The same atmosphere as was behind the change of the name from Biblical Archaeologist. EM: That was the year after the appearance of the Oxford Encyclopedia. ASOR dumped the name Biblical Archaeologist. HS: Let’s talk about Israeli archaeologists and Israeli archaeology a little bit. It is true that there is a certain pride of history in the attitude of Israeli archaeologists. Is this not true? HS: It’s kind of natural, especially in a young country. EM: What’s happening in Israel today, however, is that the old generation has gone and no one has really emerged to pick up the sense of dynamism that [Avraham] Biran, [Nahman] Avigad, [Yigael] Yadin, [Michael] Avi-Yonah, and [Benjamin] Mazar had. Can you name a major university figure who enjoys the kind of prestige that Yigael Yadin enjoyed? HS: I also sense a little bit of nationalist exclusivity. It’s pretty hard today, maybe impossible, for an American expedition to get a license to excavate in Israel without an Israeli codirector. EM: Yes, you need an Israeli codirector. CM: It’s a sense of ownership of the materials. HS: This is also true now of other countries, such as Turkey and Cyprus. CM: Archaeology, as you know, is not simply a matter of antiquarian interest. It feeds into present concerns and nationalism that are very powerful, especially in the Middle East. So it would be expected that any country would want to make sure that its own national heritage is figured prominently in the way excavations are carried out and published. From that perspective, it is not unreasonable to have one of your own nationalists as part of the leadership team of an expedition. HS: Let’s talk for a minute about a subject that you may be an expert in, Carol, and that’s women. We hear so much in America about the difficulty of women obtaining senior jobs, and as I look at archaeology in this connection, I am astounded at the female leaders of archaeology, not simply today, but going back to a wonderful older day. You have people like Trude Dothan—the expert on the Philistines—Clare Epstein, Ruth Amiran, Miriam Rosen-Ayalon. In England you had Kathleen Kenyon and her successor Crystal Bennett. These are major giants, or giantesses, so is there prejudice against women in leadership positions or as head of excavations, as archaeologists? I could easily name some other female leaders in the field, you among them, Carol. Have you experienced prejudice because you are a woman? CM: It is really hard to answer in terms of myself because I have always worked as codirector with Eric, so people could say that I just rode in on his coattails. Even going back to the beginning of modern archaeology in the Middle East, however, in the late 19th, early 20th century, there have always been very powerful female archaeologists. CM: I am including her as one of them, actually. And she was certainly not a feminist, by the way. She was against suffrage, which shocks me when I read about it because she was such a “I’m a woman; I can do anything” kind of person herself. EM: In the fourth century A.D.
CM: There have always been women who because of their own passion and interest in something have managed to do what in general has been considered a man’s field. In England most of them were women who had independent wealth. In the United States in the late 19th and well into the 20th century, there were a lot of women’s colleges with very strong classics and art history departments, and there were women from those departments who led expeditions in Turkey, not so much in Israel, but in other parts of the Middle East. So there have always been important female archaeologists. In Israel itself those women you mentioned were all part of the founding generation when gender equality was supposedly an ideal. Both men and women serve in the army. Now we all know that it didn’t boil down to true equality, but nonetheless it certainly opened the way for the fact that women who were passionately interested in something had every reason to suspect that they could do what they wanted to do, and in those days women did that. EM: You mentioned the passing of the giants. This affects both genders. I am not sure there will ever be another period of those kinds of stars. The academic environment in America has so changed in the last decade that we’re experiencing a paradigm shift in higher education that is certainly affecting Biblical archaeology and Near Eastern archaeology in general and all the related fields that define archaeology. In my opinion, this is the greatest challenge that is facing us today along with that of repercussions of Syria and Iraq and all of that happening in the Middle East today. It is dramatically changing the facts on the ground and the dynamics of the field of archaeology in general—and not for the better. HS: Many scholars feel that the biggest change in archaeology in the past 40 years has been the introduction of scientific tools and methods. CM: I would agree. But I don’t know where it is taking us. Certainly in fieldwork, digital record-keeping and so on is dramatically changing the way field operations are recorded, but the digging is still the same; it is manual with a patiche, a hoe and a trowel, but the way the data can be recorded, manipulated and studied is open. The electronic age is opening new vistas. It is too complicated for me to grasp. EM: Right. I think we are just at the beginning of how all this will play out. CM: I see two problems. First of all, it is extremely expensive, and your average archaeologist coming out of a small liberal arts college in the United States—unless you’re really lucky to get some kind of fantastic grant—just is not going to be able to do it. It involves multimillion-dollar equipment and many scientists and technicians. It’s just out of the reach of most projects. The second thing I would say is that it may be magical in putting you back and spatially reconstructing a structure that you have excavated, but it doesn’t take you on the next step, which I think is the most important one: How do you interpret that space in terms of the lives of the people who lived in it and the society in which it was embedded? That is still going to be human brain power. The digital project may help us make connections better and envision things better, but I don’t think it is going to add in some dramatic way to the interpretive process. HS: In your judgment, what was the one or two most thunderous finds in the field of Biblical archaeology in the past 40 years? EM: For Israel, I would certainly say Masada.j We both participated in its excavation years ago. Masada is enjoying a resurgence not only because of the 50th anniversary of the beginning of the dig, but because of the interpretive challenges that have been mounted about Yadin’s publications.4 And the restoration at Masada is second to none in the world. It’s now a masterpiece of restoration. For Israel it’s certainly one of the most important, if not the most important, dig. For Jordan, it is Petra.k The ongoing excavations in a variety of settings in Petra—the papyri, the palaces, the current restoration of the Great Temple directed by Martha Joukowsky, all the different excavations—I think define the magnificent potential of Jordanian archaeology. Jerusalem is certainly the largest dig in the history of the world with all of the money and support it has. Masada, once a palace for Herod the Great, and the last stronghold of the Jews during the First Jewish Revolt against Rome (66–70 C.E.). Its historical importance and archaeological restoration make it one of the most important archaeological sites in Israel. Photo: Werner Braun. Petra, perhaps the most impressive archaeological site in Jordan. Here is the Great Temple, which was excavated by Martha Joukowsky of Brown University over the course of 14 field seasons. Photo: “The Great Temple of Petra, Jordan” by Bernard Gagnon is licensed under CC-BY-3.0. HS: We have a department in every issue of BAR that is a question that is answered elsewhere in the magazine. Recently the question was how many excavations have there been in Jerusalem. CM: What was the answer? CM: Israel is the most excavated country, and Jerusalem is definitely the most excavated site. HS: I think on that note it might be nice to end. Thank you both very much. “Biblical Archaeology: Whither and Whence” by Hershel Shanks was originally published in the March/April 2015 issue of Biblical Archaeology Review. a. Carol L. Meyers and Eric M. Meyers, “Digs 2010: 28 Years Later Couple Recalls Finding ‘Lost Ark,’” BAR, January/February 2010; Carol L. Meyers and Eric M. Meyers, “Finders of a Real Lost Ark,” BAR, November/December 1981.
b. “1988 Excavation Opportunities: Prize Find: Mosaic Masterpiece Dazzles Sepphoris Volunteers,” BAR, January/February 1988.
c. Hershel Shanks, “Should the Term ‘Biblical Archaeology’ Be Abandoned?” BAR, May/June 1981.
d. Nadav Na’aman, “The Interchange Between Bible and Archaeology,” BAR, January/February 2014; Eilat Mazar, “Did I Find King David’s Palace?” BAR, January/February 2006.
e. Hershel Shanks, “Will King Hezekiah Be Dislodged from His Tunnel?” BAR, September/October 2013; Oded Borowski, “In the Path of Sennacherib,” BAR, May/June 2005.
f. Thomas E. Levy, “From Camels to Computers: A Short History of Archaeological Method,” BAR, July/August 1995; Kathleen Ritmeyer and Leen Ritmeyer, “Temple Mount: Reconstructing Herod’s Temple Mount in Jerusalem,” BAR, November/December 1989; J. Maxwell Miller, “Biblical Maps,” Bible Review, Winter 1987.
g. Alan R. Millard, “Ebla and the Bible,” Bible Review, April 1992.
h. Past Perfect: “Under a Desert Sky,” Archaeology Odyssey, January/February 2000.
i. Jan Willem Drijvers, “The True Cross,” Bible Review, August 2003.
j. Gwyn Davies, “The Masada Siege—From the Roman Viewpoint,” BAR, July/August 2014; Hershel Shanks, “Masada—The Final Reports,” BAR, January/February 1997; Ehud Netzer, “The Last Days and Hours at Masada,” BAR, November/December 1991.
k. Joseph J. Basile, “When People Lived at Petra,” Archaeology Odyssey, July/August 2000; Avraham Negev, “Understanding the Nabateans,” BAR, November/December 1988; Philip C. Hammond, “New Light on the Nabataeans,” BAR, March/April 1981.
l. Strata: “How Many?” BAR, July/August 2014. 1. According to Mrs. Ruth Albright, when she asked her husband, William F. Albright, about “his field,” he responded by describing Bible lands as ranging from the Indus River to the Pillars of Hercules or to Gibraltar (she didn’t remember precisely) and from south Russia to Ethiopia with an emphasis on the Fertile Crescent (Interview, June 7, 1972, Running Archive, about an undated conversation that one presumes occurred earlier rather than later in the marriage). 2. William F. Albright, “The Impact of Archaeology on Biblical Research—1966,” in David Noel Freedman and Jonas C. Greenfield, eds., New Directions in Biblical Archaeology (New York: Doubleday, 1969), p. 3. 3. Edward Robinson, Physical Geography of the Holy Land (Boston: Crocker and Brewster, 1865); Edward Robinson and Eli Smith, Biblical Researches in Palestine and the Adjacent Regions: A Journal of Travels in the Years 1838 & 1852 (London: J. Murray, 1856). 4. Masada: The Yigael Yadin Excavations 1963–1965, Final Reports (Jerusalem: Israel Exploration Society/Hebrew University of Jerusalem, 1989–1995). What really happened to the ark of the covenant? For the Israelites, God’s very presence was associated with the ark of the covenant. (Exodus 25:22) This was a sacred chest of wood overlaid with gold in which Moses placed the two stone tablets of the Law. While the Israelites dwelled in the wilderness, the Ark was kept in the Most Holy compartment of the tent of meeting. (Exodus 26:33) The Ark was eventually placed in the Most Holy compartment of Solomon’s temple.—1 Kings 6:19. The Ark is last mentioned at 2 Chronicles 35:3 when King Josiah in 642 B.C.E. returned it to the temple. The Ark may have been removed by Josiah’s apostate predecessor, Manasseh, who put an image in the temple. Or perhaps the move had been for safekeeping during Josiah’s temple renovations. (2 Chronicles 33:1, 2, 7; 34:1, 8-11) What became of the Ark thereafter is a mystery, for it is not listed among the objects taken from the temple when the Babylonians conquered Jerusalem in 607 B.C.E.—2 Kings 25:13-17. The Scriptures do not say that the Ark was returned to the Most Holy of the temple rebuilt by Zerubbabel; nor does it seem that a replacement was ever made.—Ezra 1:7-11.